As with most motorized waterborne craft, the JetSurf product you want to rent, is a fun, but sophisticated and potentially dangerous piece of equipment, if misused. Years of painstaking design and testing have made the JetSurf very safe to ride, but you are required to have at least a one half hour lesson and safety course before the board is released for rental. While the Ultra Sport is designed with the novice in mind, it‘s the board for everyone and is perfect for families and rentals. The Ultra Sport is durable and reliable but most of all fun. Its smaller engine maximizes fuel efficiency and new improved battery mean a fun riding experience for the whole family. Whether chasing big waves on a pumping swell or having fun at your local break, the powerful engine, light weight and ergonomic foot straps allow riders to experience tow-in surfing without the tow. Adjusting for speed is as easy as squeezing or releasing the throttle which lets surfers position themselves perfectly on the wave or deeper in the barrel. Then hit the gas to by-pass sections or escape a close-out. 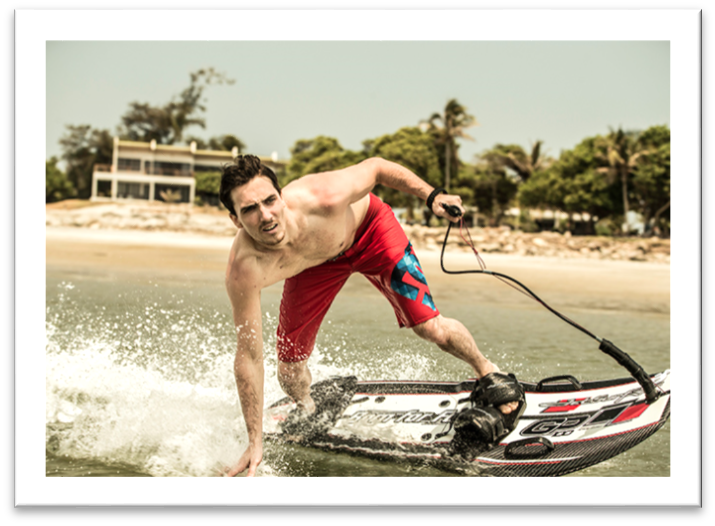 The staunch flagship of the fleet, the Factory GP boasts incredible power, torque and thrust in all water conditions. The Factory GP is equally at home on a small lake or chasing down waves when the swell is pumping. It offers experienced riders a challenging ride and gives those from a watersports background the chance to push their skills on something completely new. Beginners are able to learn quickly on flat water, gain confidence and feel the sensation of riding over the water surface at speed. The dynamic boards are easy to maneuver and allow learners to get to their feet and ride with relative ease.